live concert. It’s a great performance, and an even better recording of the event. What I like about the recording is that the editor did not quite clean up the audio track into perfection, such that I could even hear minor mic cable rubs. And of course, you would only pick those up if you use a pair of awesome headphones. – Sony MDR-Z1000, the on-ear headphones I use with my home desktop for the past years. – Sony XBA-4, in-ear phones with 4 balanced armatures, which I use mostly on-the-go. – Jabra REVO Wireless, a multi-purpose on-ear foldable Bluetooth wireless headphones with call function. Recently acquired compliments of Jabra PR agency. – Logitech Ultimate Ears 9000, premium on-ear Bluetooth wireless headphones that can also be used with wires. Review unit. – Logitech Ultimate Ears UE900, premium in-ear wired earphones with 4 balanced armatures. Review unit. – Plantronics RIG headset with mixer, powered by 40mm drivers. Review unit. And it is through an audio event like this that I get to experience the different characteristics of each brand of earphones, and based on the level of enjoyment I get out from each product, I form my opinion on how good they are. Actually, It is quite difficult to review audio products objectively, because they are such personal indulgence. The human senses are very adaptive and deceiving. The eyes always play tricks on you. Your sense of touch perceives cold and heat relative to the environment. Your ears experience sound based on the receptiveness of the sound waves audio equipment generate. What sounded uncomfortable initially would slowly be adapted by your ears to sound pleasant. And being such an objective reviewer I am, it really puts me on a spot to give my opinions on whether the products are rightfully good. As a practicing photographer, I see some parallel in the audio realm. An image which I edited could present different interpretations when shown to different people. From colour tones, to image noise, to dynamic range, to sharpness. Even the medium (i.e. display monitor) plays a critical role in presenting the image. Similarly for audio, the interpretation of bass, mid-range, treble depends critically on the device player, the audio output speakers, and the person listening to the audio. So, before you take my words for the product reviews, you should first understand my listening preferences. I am a sucker for audio clarity and faithfulness with subtly effective bass. It is the product engineer’s challenge to deliver the entire spectrum of audio frequency to my ears effectively. This means the bass must be effectively heard without overpowering, the mid-range cannot be muddy nor too shallow, the treble must be sufficiently clear without sounding irritating. Yet ironically, even the product engineer has his/her own interpretation of “balanced sound”. Before I end this post, here are some of my favourite audio tracks that I use for all my audio reviews, and a brief description of what I look out for, so that you can normalise my review accordingly. If you have your own favourite music titles, please share with me under the comments. , recorded by Erich Kunzel and the Cincinnati Pops Orchestra, under Telarc. In the late 1980s, Telarc records have a reputation for producing “pure digital” high-bit recordings that pushes the audio boundaries. They even have warnings that some tracks could damage your speakers. Your headphones should deliver ample sound space with this track. The climax of the track is at 5:16 with the crescendo rolling bass, which is a great test of the bass response of the headphones. , from Batman Begins, this track is full of excitement, combined with orchestral and synthesized instruments. See how your headphones handle this challenging track, and make sure you can hear each instrument group sufficiently. 心动, recorded by Kit Chan, this recording begins with a piano introduction – see if your headphones can pick up the piano key mechanical movement sounds – followed by her soulfully electrifying and wavering vocals, complete with breathing sounds and sibilances. An awesome headphones will give you goosebumps, while an average headphones will make her vocals appear unexciting. , recorded by Andrea Bocelli, this song employs orchestra and pop instruments. See if your headphones can hear the reverb ring for a few seconds after the final chord. , recorded by Kenny G. I have had this recording for the longest time. 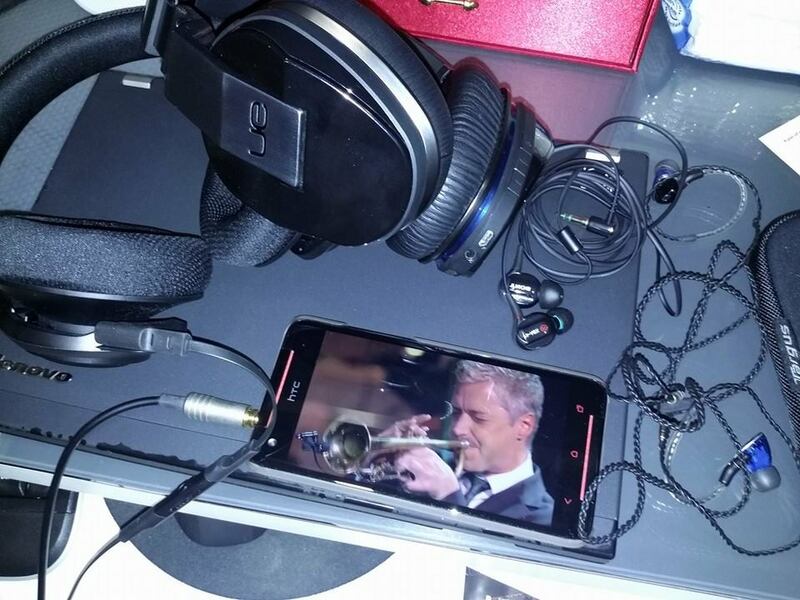 A good headphones will make the saxophone sound clear without shrilling and piercing. The backing instruments will nicely accompany the tracks without overpowering, and the bass should subtly fill the low registers. , recorded by Chris Botti. I use this track to test how the headphones handle the warmth of Chris’ trumpet, yet the high notes should still sparkle sufficiently. Of course, your headphones should not miss out the rest of the orchestration, with the usual jazz instruments like piano, string passages.
. I have yet to get familiarised with it, but it has so much potential to test headphones. The important thing to do when testing headphones is to always use the songs that you are most familiar with, and not to use any random or new songs in your playlist. This way, you will be able to reference it to the previous headphones you have owned and determine the quality. I also know there will always be better and pricier headphones out there, but the important question is: can your ears perceive the added quality for what it is worth?